Whyte's design team have given the brand new 600 series frame the Trail treatment. 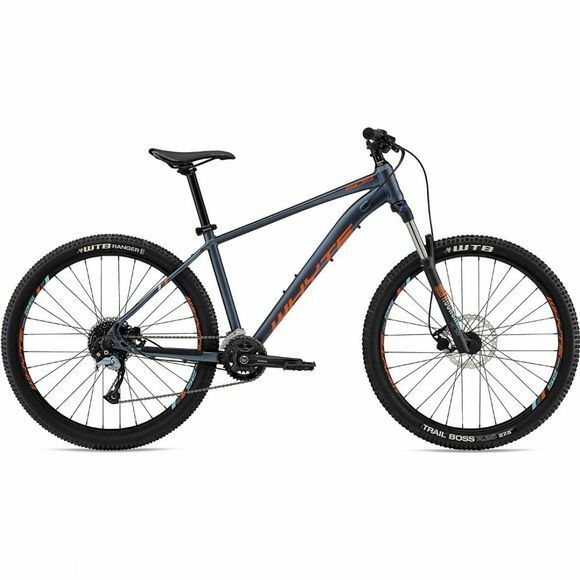 A 120mm fork, wider 760mm bar, shorter stem, wider grippier tyres and even Whyte's Enduro developed V-grips, make these the most trail-ready bikes in this price category. The new 605 is fitted with Shimano's all new 2 by 9 drive-train. This full Shimano groupset promises great reliability and should give the rider years of trouble-free riding.